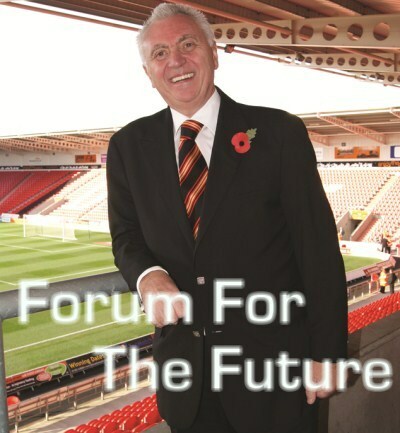 Tonight sees Doncaster Rovers hold their Forum for the Future event at the Keepmoat Stadium. The Rovers Chairman, John Ryan, will address the supporters on the future plans for the club, and there will be opportunity for supporters to ask open questions. The event has proven to be so popular that a second meeting has had to be scheduled to enable access to all supporters wishing to attend. The events are free to attend, but tickets must be obtained from the ticket office first. The "sold out" first event kicks off at 6.15pm, and the VSC will be tweeting live updates for those fans who cannot attend. Follow these on Twitter using @VSCOfficial or the hashtag #fftf. Tickets are still available for the second event, which starts at 7.15pm, so if you are able to attend you will be made more than welcome. The evening will also provide fans with an insight into the results from the recent "In Rovers We Trust" questionnaire, which is a collaborative project between the club and the VSC. This programme of activities and consultations will enable the club to shape its services, products and experiences to benefit the enjoyment of fans, and puts the fan experience at the heart of decision making.